“As soon as I found out I was pregnant, I reached out to Jewel”, explained mom, Laura, “I have worked with Jewel before, and although I hate having my picture taken, it meant a lot to have someone I trusted to do the maternity, newborn, and six month sessions. Jewel really took the time to learn what we wanted, and to make it happen”. I LOVED working with this precious family, and doing Emma’s six month images was such an honor. Laura and her husband Ethan are transplants from New York and Michigan, and when they learned that they were expecting Emma, they worked about not having family close by. They both express how much parenting has strengthened their relationship and marriage, and I am super proud of the way they have grown and learned along this journey. The trio is very active, and goes for lots of walks around their local area. They also visit the park and the zoo very often (which Emma loves), and exploring Houston is one of their favorite activities. 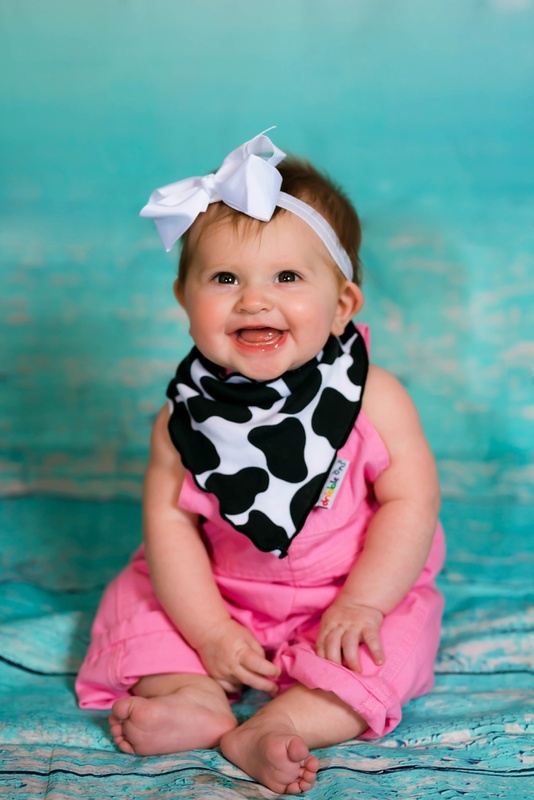 Baby Emma is such a happy and adorable baby, with an infectious laugh and a huge smile. She loves making people laugh, and snuggling with her parents. They describe her as very curious, and add that bath time and playing with the family dog are two of her favorite activities at the half-year milestone. 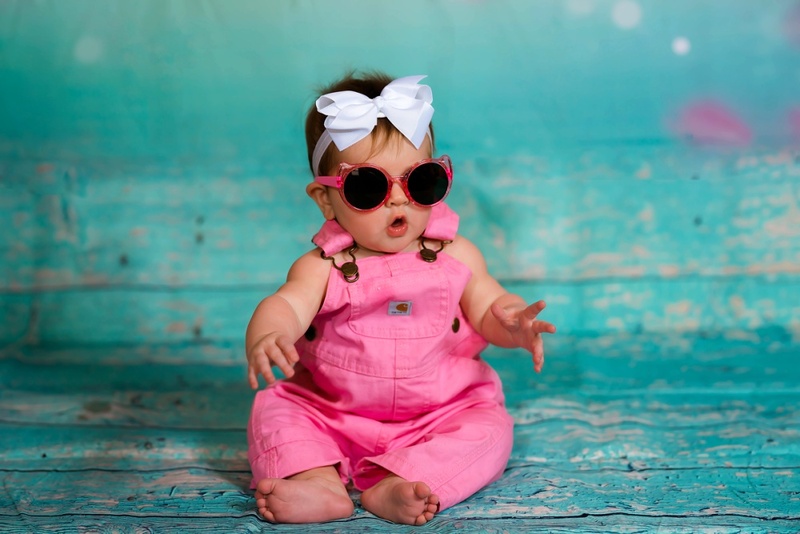 I loved thinking up styling and posing for this happy little girl, especially the sunglasses! It’s like she’s ready for her Hollywood closeup! Mom adds, “I have learned to really ask for help as a mother. It is humbling to do so, but I feel better knowing I have the support of loved ones through the ups and downs of parenting.” Happy six months, Emma! I can’t wait to reunite with this family soon!